“A seller of purple.” Those four simple words introduce us to Lydia, one of the most inspiring women in the New Testament. Tyrian purple was the “in” color of Lydia’s day. The dye, which came from Murex sea snails, was popular with emperors and served as a status symbol for the social elite. Lydia lived in Philippi and was undoubtedly a successful businesswoman. She was also a seeker of truth. Her faith in God wasn’t hampered by the lack of a synagogue in Philippi. When Paul met her at a prayer meeting by the side of a river, he introduced her to Jesus, and she immediately led her family into the waters of baptism. From a heart overflowing with gratitude, she opened her home to Paul and his friends. Courteous, hospitable, sincere, and successful, Lydia was the first convert to Christianity in Europe. 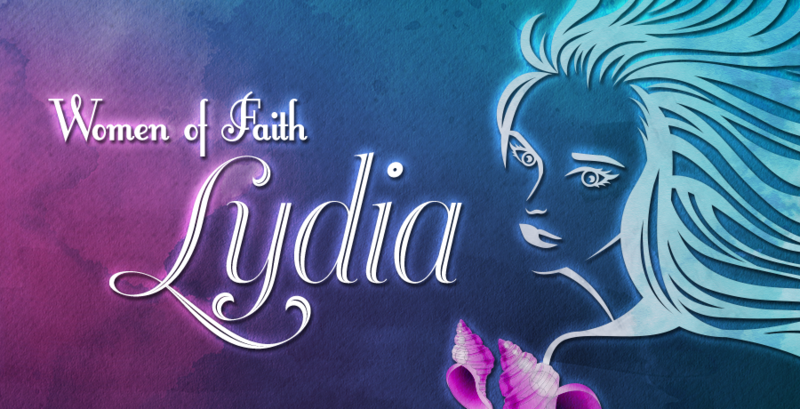 Be inspired by Lydia, a woman of faith. Read her story in Acts 16. This is the third in a series of posts honoring Women’s History Month.